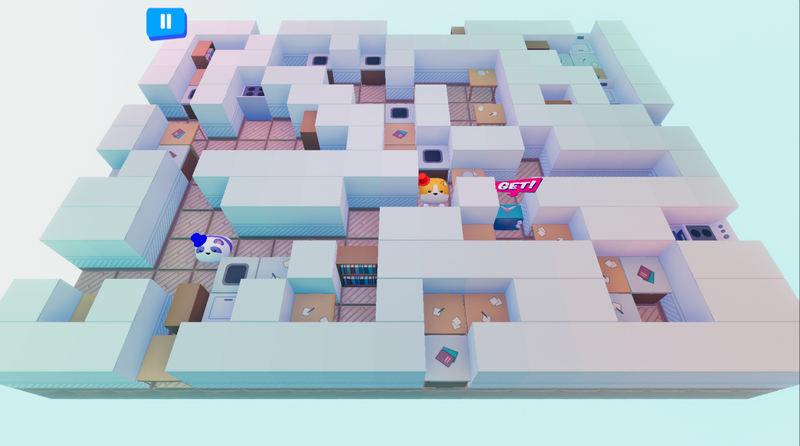 My name is Jon and I was the 3D artist and project manager for the Global Game Jam 2019 game, Roomies. As 3D artist I was responsible for all mesh creation, unwrapping, PBR texturing of the ground tile, and scene lighting within a 48 hour period. As Project manager I got so say NO to a bunch of 'asks' and I stood behind people with a foreboding stare during the last 30 min of build testing. 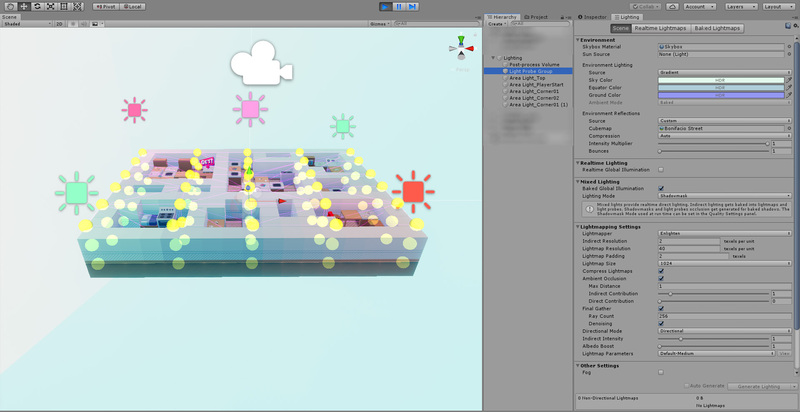 Today I'd like to share some behind the scenes info on building the 3D content for Roomies. The second day of the jam, when the Roomies team hunkered down at one of our developers house. Kevin Blum and I quickly came up with an artistic direction that we believed was achievable through the scope of the 48 hour game jam, and would create a standout personality for our game. Kevin had came equipped that morning with a trove of imagery that would help guide how our game would look. Most importantly we wanted to nail the initial read of the scene and character movement on the level. Using a low poly mesh, and clean textures were the goal from the get go. Creating the character mesh and unwrapping the character was top priority early Saturday afternoon. Two team members were reliant on that asset completion. 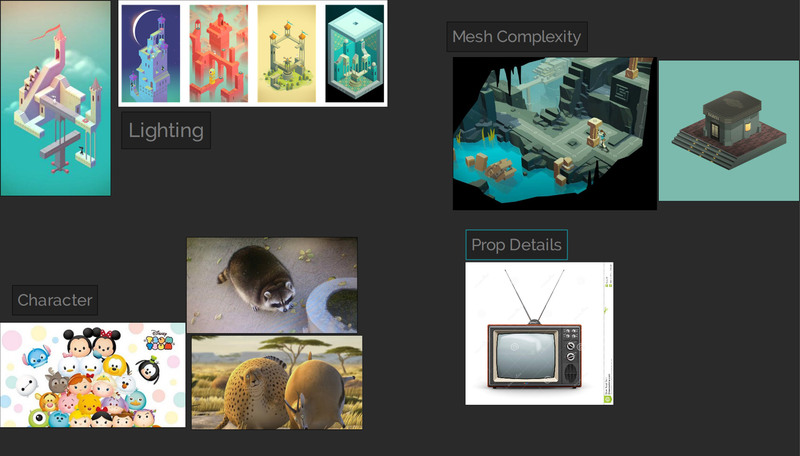 One for creating base color textures, the other for creating an animation system using real-time mesh deformation. The modular system was set up to guarantee that the complete environment and props adhered to a 1meter x 1 meter tile system. Additionally, no props would be taller then a wall, of which had a max height of 1.5 meters. 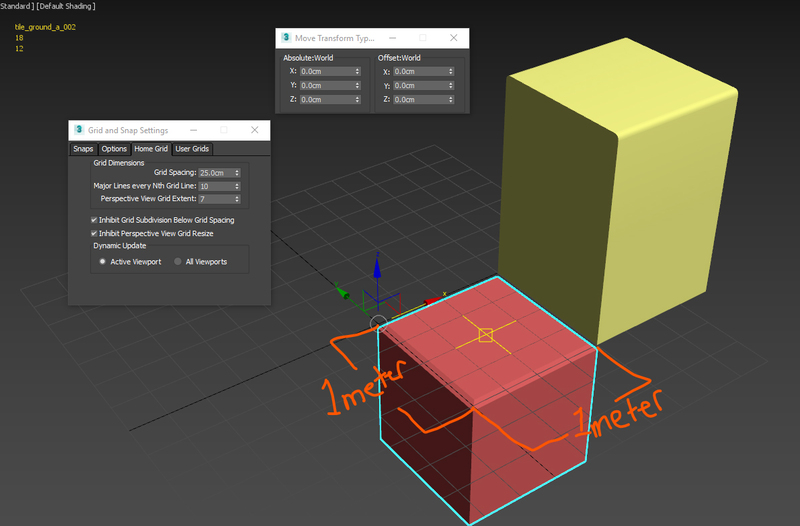 With all mesh transforms at world zero and each front of mesh facing the Z axis, developers could easily construct a level grid manager without having to second guess perfect on grid movement. While modeling the props I understood I wouldn't have time to do any bakedowns, therefore I decided to chamfer edges in order to define a soft silhouette for props. As a general rule of thumb, never (if possible) chamfer/bevel edges before unwrapping your mesh. Chamfer edges made after unwrapping keeps UV boundaries intact! Another simple modification made to the final mesh was adding a spherify modifier. This helped accentuate the scale and shape to build on a cute/fun look. With having only an hour allotted to lighting on the final day before submission, efficiency and cleanliness in GI was of upmost priority. 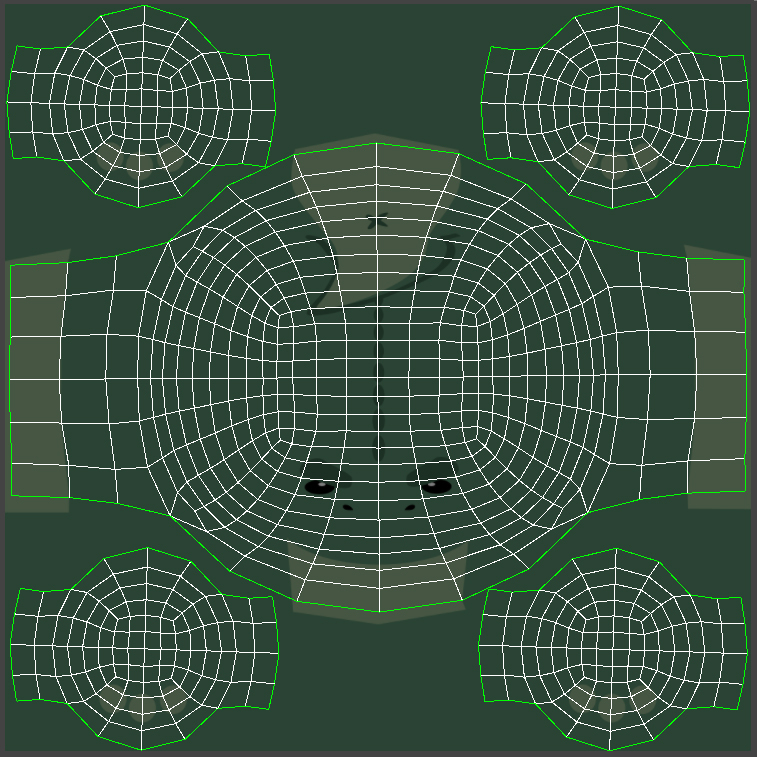 Luckily I new I wouldn't be generating any lightmaps. As all meshes would be considered dynamic. With a temp level layout loaded into editor I was able to pick 3 colors of a gradient as the source for ambient scene lighting. These colors coincided with the pastels Kevin Blum used for painting the base color textures. Additionally I wanted to approximate global illumination with soft area lights, so setting up a light probe network was a must have. With the lighting system in place, I spent the remainder of my hour setting up an ACES tonemapper with ambient occlusion and bloom as my post processes. The grade was very simple, just a slight uptick to exposure and contrast and very slightly bringing the game color range towards blue. Additionally I tinted the ambient occlusion towards blue/purple (#5C7ADB) to introduce more color to ambient shadows. Using monument valleys soft GI bounces and colored shadows as my main inspiration for lighting, helped drive home the overall aesthetic of what we created. Once the team got to see the example level washed in light everyone had this moment of relief, an almost euphoric "wow we actually did it" moment as the game looked like what we had envisioned. I'd love to do some experiments with real-time lights on the character or objective props, and create a full set of PBR textures for all assets in the future. This was a great and noble undertaking by a talented team of 5 and I am very happy I got a chance to partake and try a style that is very different from what I usually create in 3D. Thanks for reading, and please feel free to ask any questions relating to the 3D content in the comments section down below.